After his Manning Depot training was complete John Volkes found himself going through the selection process for one of the air trades. 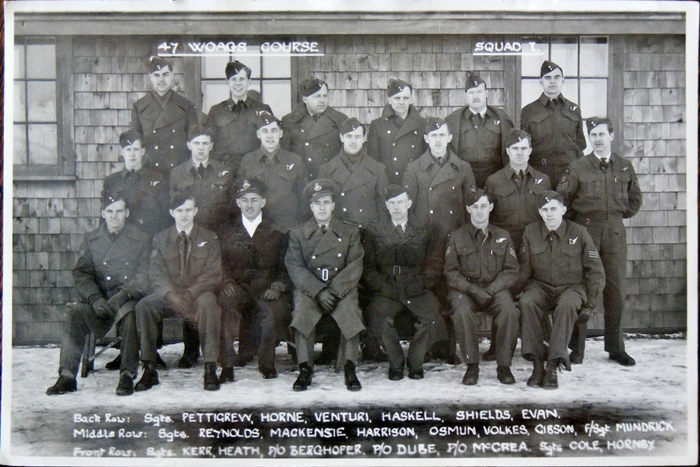 Then selected as a candidte for Wireless Operator/ Air Gunner, Volkes was then posted to No.4 Bombing and Gunnery School located at Fingal Ontario. Located North of Port Stanley on Lake Erie it was one of many BCATP B & G schools across Canada. 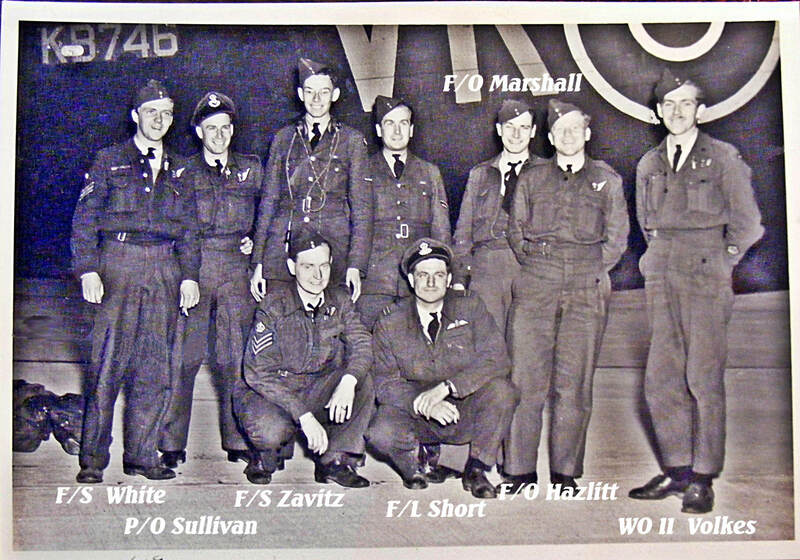 As part of class Number 47 WOAGS , Squad #1 he along with the others were to be taught two trades, the Wireless Operator classes would cover electronics, radio operation and the sciences of radio transmission. Although the gunnery class would be the less academic of the two, there was still much studies in ballistics, estimateing ranges and speeds all every important to survive the skies over Eurpope. There were also mechanical and armaments safety to learn. The guns had a high rate of fire and were prone to stoppages which needed to be cleared quickly, safely and in the dark. All this while the enemy was moving at high speeds around you while your own aircraft was performing corkscrew actions to avoid being a target. The duties of the WAG while on an operation could include working on repairs to the radio or helping the Navigator repair his radar equipment with all hell breaking out around them. For this the training at Fingal was just a first stepping stone, classes and simulated failures were one thing, the real world lay ahead across the Atlantic. 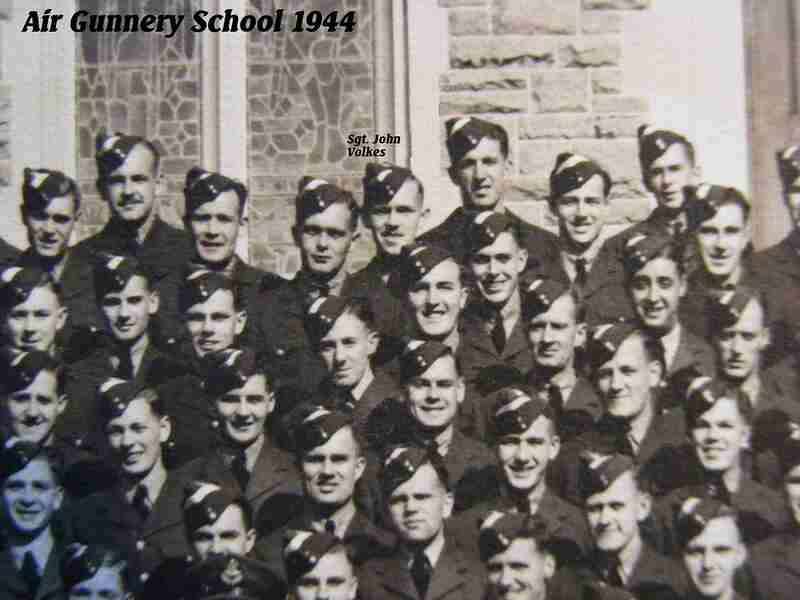 After a time at Bournemouth, the main depot for all RCAF personnel arriving in Britain, Sgt. 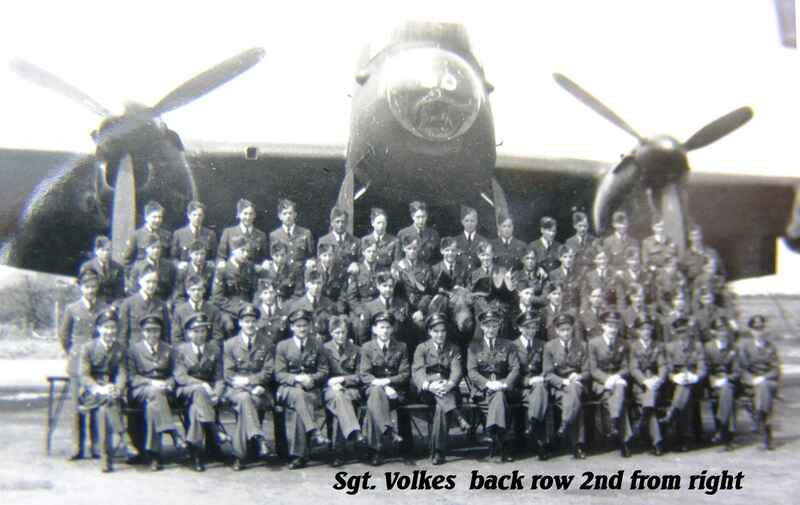 Volkes would be posted to one of the O.T.U squadrons. It would be here that the crewing up would begin, all the different trades would be brought together to sort themselves out as crews. 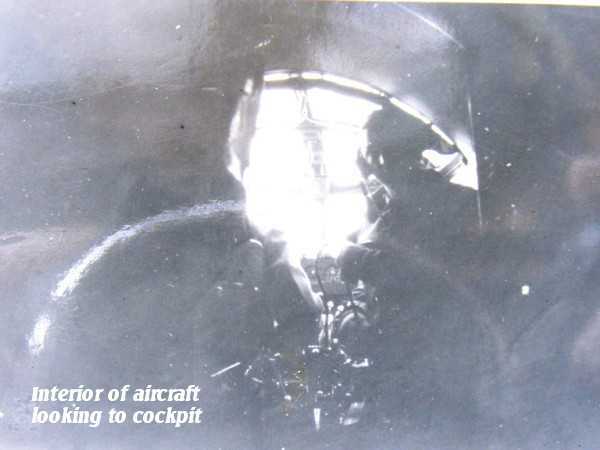 The main decision rested with the pilot, who as captain of the aircraft would be responsible for his crew from now until the completion of their tour. Then F/L Short piloting the twin engine Wellington would have to coach them into a team during their months at the O.T.U. The next posting was to No.1659 Heavy Conversion Unit at Dishforth. 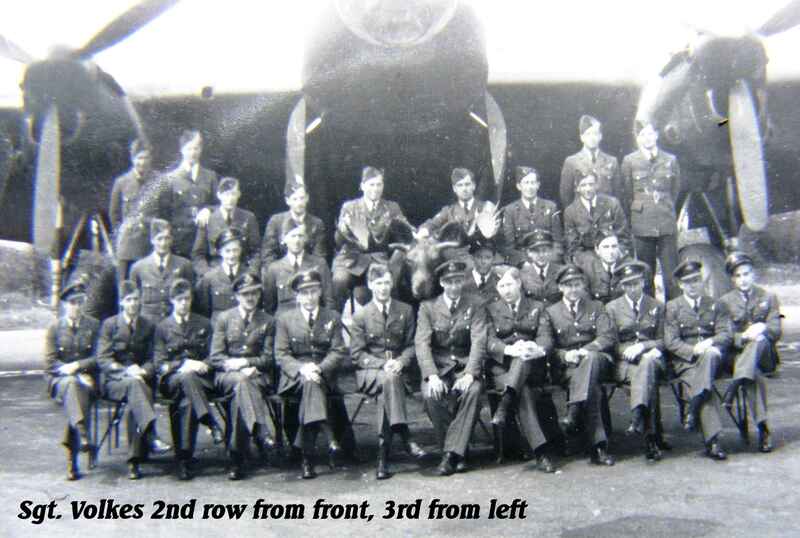 The crew was increased in size as the Lancaster required a crew of seven, so now more training was carried out to work in the addition gunner and Flight Egineer. Sgt. 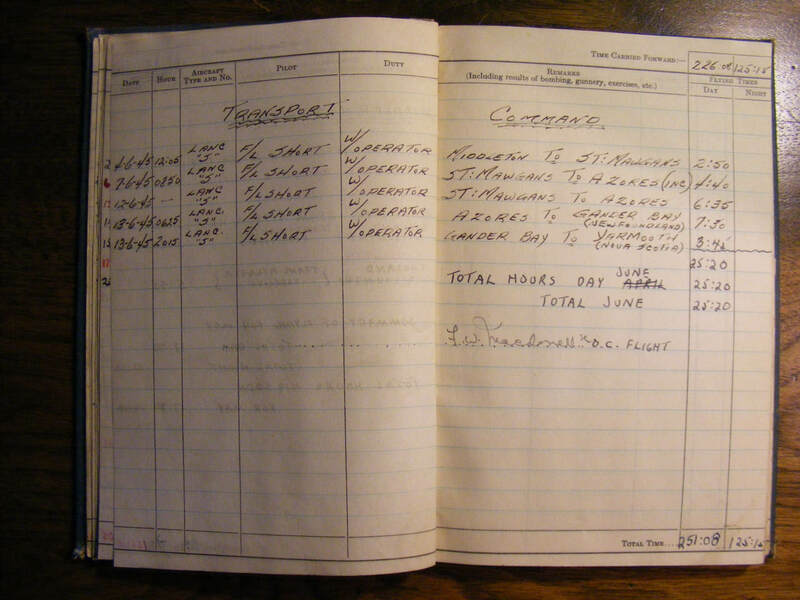 Volkes logbook shows what type of training and locations they targeted. With the training at #1659 completed, now on to the real job at hand? Not quite! The crews arrival on April 9th was the start of yet more training. And for his captain, F/L Short, to wait for his chance to complete the necessary operations as 2nd. Pilot. This teaming up of a new captain with an experienced captain and crew was maybe a test of the new pilots abilities. Some such as Short completed just the one op. others did two sometimes three. 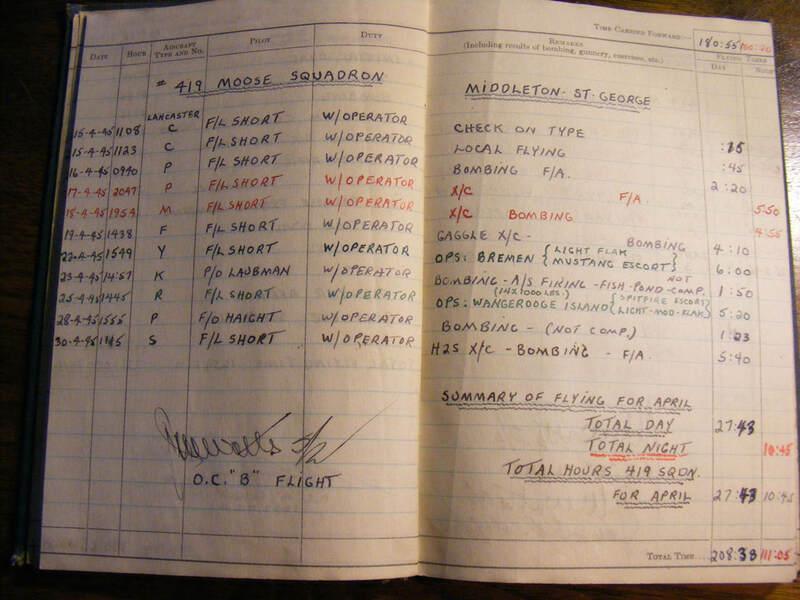 As Volkes log book shows the crew took part in cross country runs both solo and in groups or "gaggles", all part of learning what the area looked like around their base and lining up landmarks with the runways. Once Short had completed his 2nd. 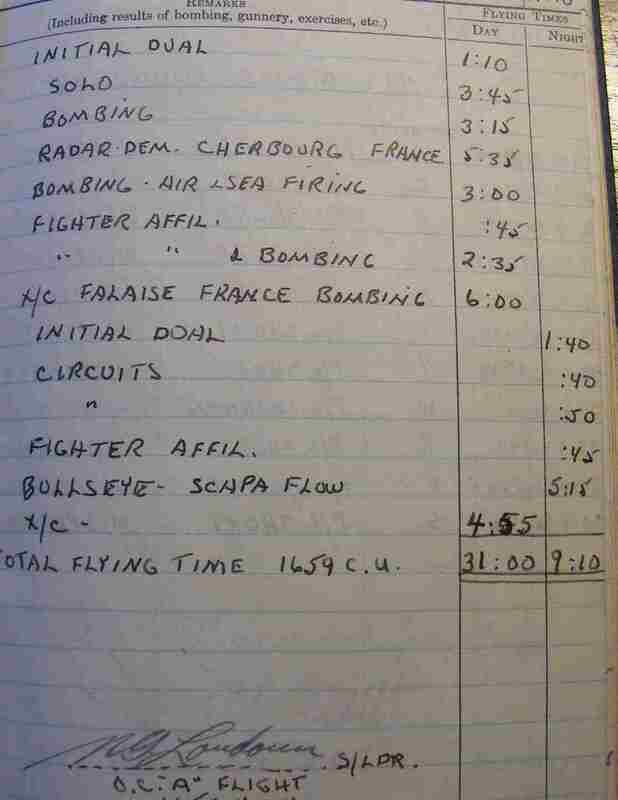 "Dickie" training on the 16th of April the crew were well ready to take part in the up coming raids. Their first operation was on April 22nd. on Bremen. The very next night, the now WOII Volkes flew with P/O Laubman as pilot. 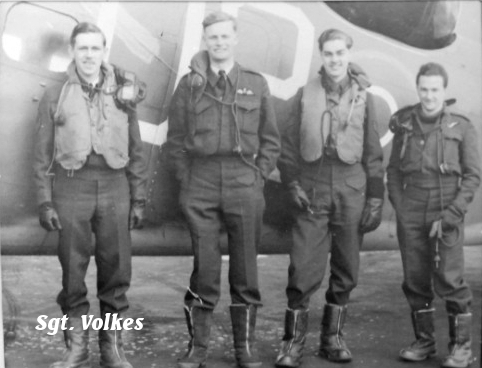 For WOII Volkes and the men he flew with, the night of April 25th they would be part of what would prove to be the last 419 squadron offensive operation. An RCAF attack on Wangerooge to support the Canadian Army in their fight to push the German Army out of Holland. It wasn't John Volkes last operation, he was attached to F/O Haight to participate in an operation which was recalled. And so in the end for the squadron the air war was now over, the April 25th attack on Wangerooge was the last war time operation. The Ground war continued on, but the crews and aircraft of 419 squadron were now preparing for another type of adventure. 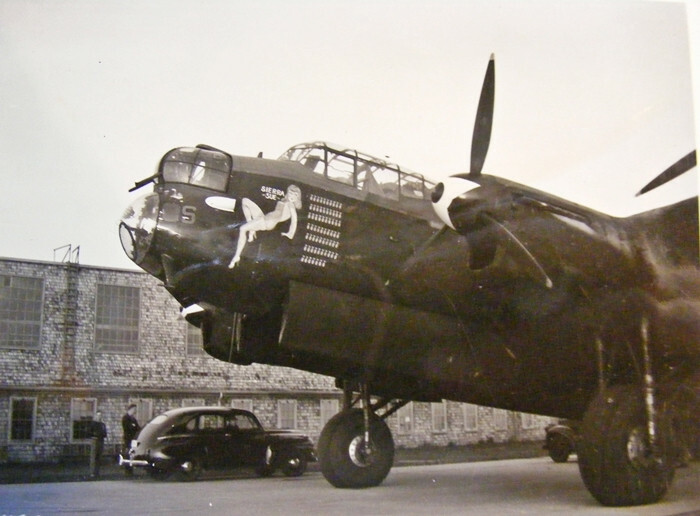 The RCAF had made a commitment to be part of the war in the Pacific and "Tiger Force" needed the Lancasters. So now the crews needed to learn how to find their way across wide expanses of the Atlantic ocean, to reach home. The Navigators could no longer use GEE or H2S radar to lead them to their destination, pilots and wireless operators now had to comply with Department of Transport regulations for landing in the Azores. 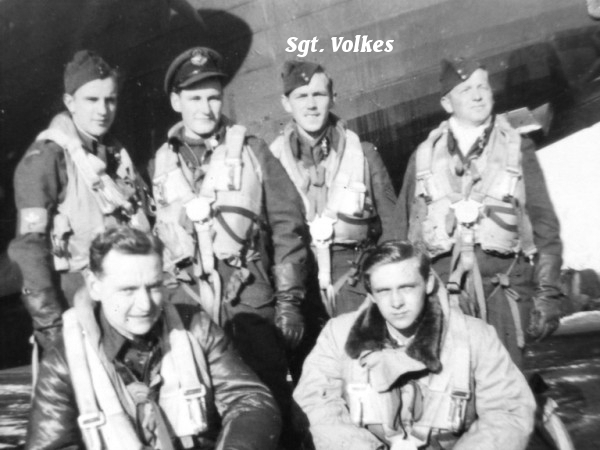 On June 13th WOII Volkes and the rest of the crew of "Sierra Sue" were back home in Canada given leave and awaiting the preparation of "Tiger Force", which was never used as the war in the Pacific came to an end and 419 squadron was disbanded. 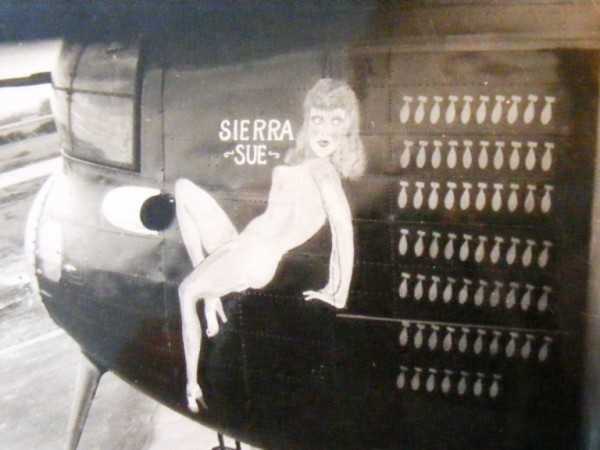 As for the veteran Sierra Sue, KB746, after completeing 68 operations and returning home she awaited her fate as did hundreds of other Canadian made Lancaster MkX aircraft.